LANDS THE HARDYS IN DANGER! Years ago Jake "Jumper" Herman bailed out of a plane in the Great Smoky Mountains and disappeared -- with a fortune in treasure. Now Frank and Joe are helping out on a movie about the escape, working with the animal wranglers, who handle trained mountain lions and bears for the film. But the set seems jinxed. A pretty young star's stunt leads to a hair-raising accident, a Bigfoot menaces the crew and cast, and the ghost of Jumper Herman seems to haunt the woods. 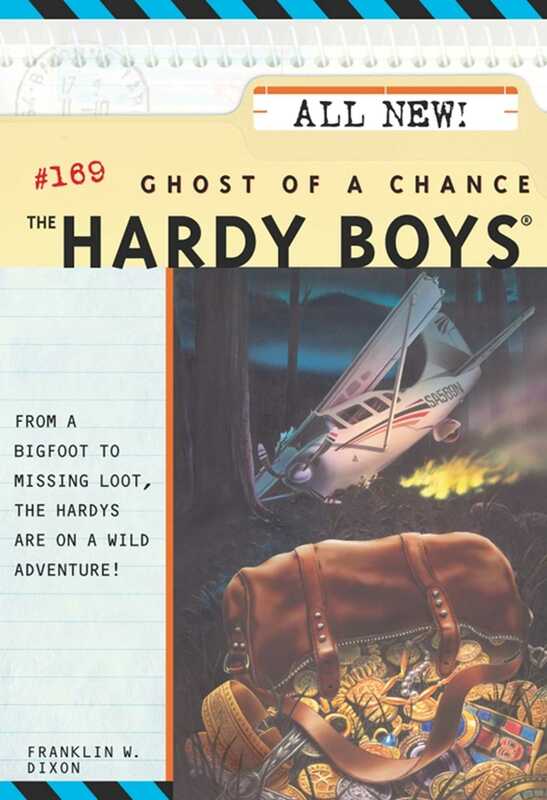 From a strange abandoned shack to a wild mountain lion, the boys are busy trying to bail out of big trouble!